Trinity School of Medicine has always prided itself on the strength and ambition of its students. In this next edition of our alumni spotlight, we've got something special in store for our readers: two brothers, Tyler and Drew Clare. They're close in age and ended up in medical school at virtually the same time. Today, both are ER residents. 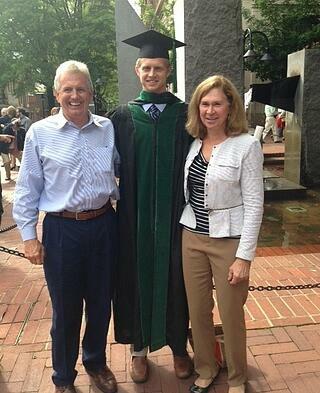 Drew went to Trinity School of Medicine, Tyler attended the University of Virginia School of Medicine. Today, we're going to look at how two doctors ran different races (one in the U.S., the other in the Caribbean) but, ultimately, ended up at the same successful finish line. Meet Dr. Tyler Clare (left) and Dr. Drew Clare (right). Tyler: This is a hard one to answer. Growing up surrounded by physicians, I thought “definitely not medicine.” When I got into college, I picked biology, still heading into the sciences, just not medicine. As things got further and further along, I gave into the fact that medicine was what I found most interesting. The next thought after that was, "I’m definitely not doing emergency medicine." Here I am, though. Drew: We come from a long family line of physicians. Our grandfathers were neurosurgeons, our grandmothers were nurses, our mother was a nurse, and our father is a doctor. We were exposed early on to medicine as kids, when we could, we worked in the ER. Background deters some people initially, but I never wanted to do anything else. 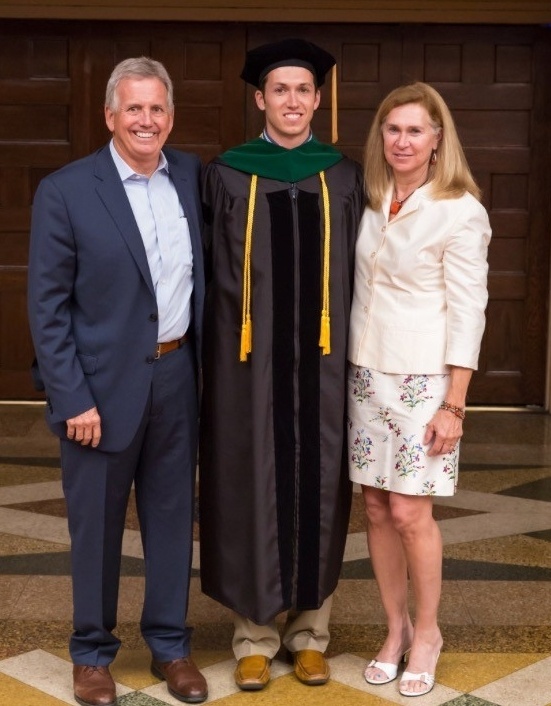 Many would-be physicians aren't aware of the options available outside the US, you had firsthand experience with a hugely successful IMG, tell us about the other Dr. Clare in your family. We had firsthand experience in the family, my dad went that route back in the day, so there was definitely no reason not to now. Ideally, I would have gone to a US school right off the bat, but I never had any doubts about going to a Caribbean medical school. What did you study in undergrad? Drew: My major was human nutrition and exercise, essentially biology but instead of plants it was exercise physiology. The program was in college of agriculture and life sciences. Tyler says I’m a farmer, but this is when I like to point out that he has a bachelor of arts I have a bachelor of science. Tyler: Drew’s graduation was on a farm. There were more cows than people. I think he walked on stage right after the milk farmers. As for me, I majored in biology and transferred half way through undergrad. As for my BA vs. his BS, it came down to graduation requirements: it would have been an extra semester. What was your approach to your undergraduate education? What sort of student were you? Tyler: A lot of my college was driven by soccer. Even transferring, it was about switching from one soccer program to a bigger opportunity in the sport. I wasn’t thinking about academics and my future as much as soccer. At the same time, college athletics put more requirements on me: mandatory study hall, class attendance was monitored. I think it helped in the long run. I did well from that pressure. 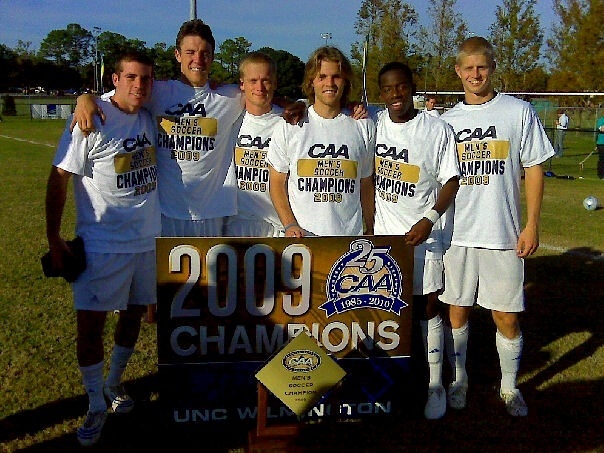 Dr. Tyler Clare, (right), with his 2009 championship team. Drew: I approached college a little differently than Tyler. I had a lot of fun. I didn’t focus like I should have and, in hindsight, it’s what landed me in a Caribbean medical school. I didn’t take it as seriously as I needed to for the US application cycle. I did well, but I wasn’t super competitive. I would study the night before and try to take the test the next day, most of the time it was fine, but not always. I had a huge group of friends, we had fun, but it came back to bite me. I did a year of grad school to turn it around. I figured out how to study better. However, at the end of the day, I couldn’t be happier. I enjoyed school and ended up where I wanted to be. Drew, how many times did you apply to medical school? Twice, 2009 and 2010. I started Trinity in 2011. Tyler, what was staying in-state for medical school like? I applied mostly locally. One of the biggest reasons was tuition. Out of state tuition is, as you know, a lot higher, so in-state was a priority, financially. When I got my interviews lined up and I got into UVA, it was the best program in the state, as far as I was concerned, so that was it. Drew, did you ever consider a DO school? No. This is not a shot [at doctors of osteopathic medicine], some of the better doctors we have in our program now went to a DO school, and I recognize there isn’t a real difference these days, but we come from a long family of MDs. I wasn't going to be the first DO. Drew, why did you pick Trinity? We have strong family ties to St. Vincent. Once I decided to go the Caribbean route, St. Vincent was where I looked first. I knew some of the folks at Trinity and I knew they were great. I had no reservations. 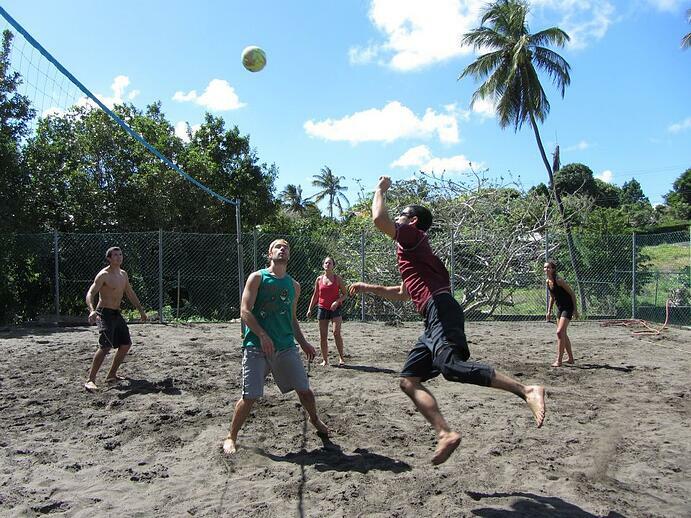 How did you unwind between classes? What did you do for breaks?Tyler: Nothing too exciting. 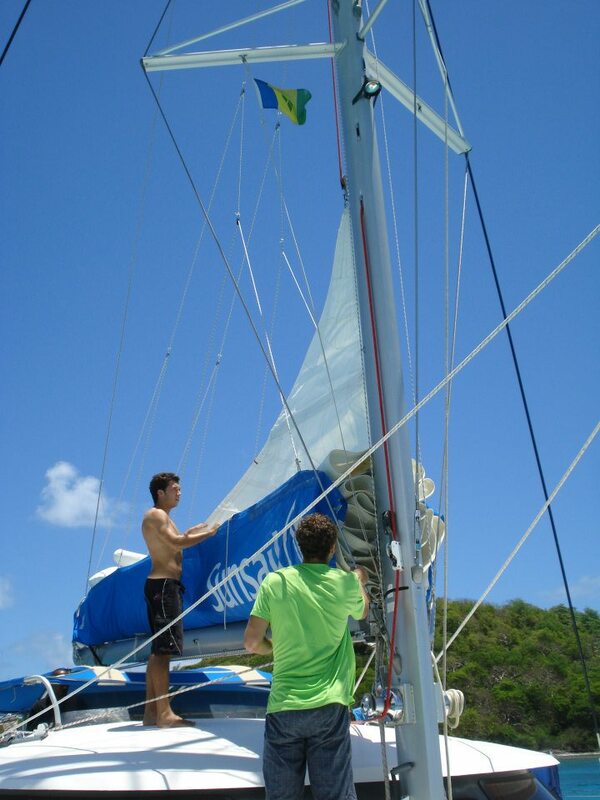 I mostly have memories of Drew sending me pictures of him sailing or on the beach. I’d just spend time with family. Drew: To unwind, I’d send Tyler pictures of me doing fun things. Seriously though, I made it a point to get my work done and be out on the water as much as possible, sailing, fishing, diving, just being on the beach. 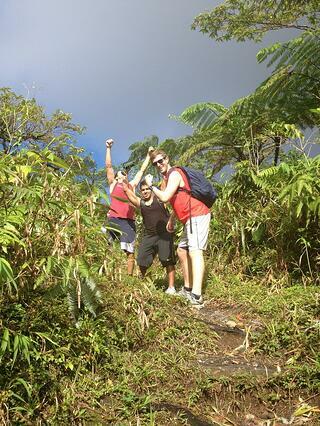 Quite a few times, we’d do random group runs up the volcano. It was nice to have that there and be able to do that when you needed a break. Tyler, your program was on a semester schedule. Drew, yours was “trimesters” did you two notice a difference? Tyler: My first two years were compressed into a year and a half with a term to study for Step-1. I liked that. It seemed uncommon but it really worked for us. Drew: I liked it. It got us through quicker. As Tyler said, his first two years were condensed. This actually put us on roughly the same time frame because of how Trinity structures the curriculum and term 5. It felt efficient. You both took different routes to medical school at roughly the same time, Tyler, you in the US, Drew, you in the Caribbean at Trinity. Any envy? Drew: Yes and no. Trinity was young when I was there, and still developing. I was jealous of his well-established place and its resources. Except, when I think about how we came out with the same information, me in St. Vincent, him in Charlottesville, but I could walk out of that classroom and hop on a boat, I’m all about that life. Once again, still accomplishing my goal in my own way. Tyler: I was absolutely jealous especially on lifestyle/quality of life. The house he was in had a pool in front of his room, it overlooked the ocean, he’d go to the beach and study, sail, and I was cooped in my room. What was campus culture like? Drew: it was way better than I was expecting. I went down there with a chip on my shoulder, and expected everyone to be out for themselves, fighting to get back to residency, that stigma of the uphill battle. But that wasn’t at all the case. Everyone was friendly, there was no shortage of trying to get people together to study, go sailing. It was a great group of people. I’m still in contact with them today and we’re all spread out, now. Tyler: I liked the culture of UVA, the way it was set up. As Drew alluded, a lot of medical schools, it’s cut throat, and some are, but UVA tried to dissuade that. There was no competitive grading, so there was a bit more collaboration, group study guides, doing well and helping tutor others. Charlottesville itself is a great place to live, too. What was Step-1 prep like? Tyler: This is another thing I got advice from Drew on. I picked his brain for study guides, what to do, when to start, because we had the curriculum condensed into the first two years, and we dedicated time off to study for the test, so I just did what Trinity taught Drew to do. Drew: 5th term (dedicated study/preparation time) is in St. Vincent, I did all the question banks and review books. It was nice, in the 5th term, we did a lot of global review type stuff, so even with new material, we’d review it and how it fit into the big picture. We also took a lot of practice tests. How did the tests go for both of you? Drew: I’ve taken four different board exams, nobody leaves one thinking they did well, but when you get your score back, you do much better than you think you did. As soon as I saw my score, I knew it would get me where I wanted to go. When Tyler took it, I knew he would do well, so I texted him the day he was due to get his score back. I asked how’d it go, he texted me back and asked what I got. My first thought? “I’m not telling you, you go first.” He sent me his number and I was shocked. We got the exact same score! I thought he was messing with me. Tyler: I was really upset about that. As you can imagine, we’re pretty competitive. When we got our scores, I was upset because all through college, I always got better grades, I stayed in the US, and we got the same score! Soul crushing. What were clinical rotations like? Any strategy for matching? Tyler: Selecting electives is important. Third year rotations are set in stone, the core, and after that, you start 4th year and you get to pick. The first half of the year, I scheduled stuff that was to help me get letters. The second half, I did more fun stuff. I did two separate ER rotations, one at “home” and one away. Drew: the move is to get electives in what you want to go into and get in somewhere with a residency program. Once you’re there, impress someone that will consider taking you as a resident, ultimately that’s the goal. I got interviews at places I rotated at that I don’t know I would have gotten otherwise because I showed them what I could do. Did either of you match into a program you rotated at? Tyler: I did, yeah. I did my “away” ER rotation at MUSC and loved it. Drew, did you feel prepared for your rotations back in the US? Drew: Very. I think that’s a huge advantage of Trinity. We were in the hospital from day one, we were at bedside working with amazing faculty, as well as Dr. Datta. We had incredible teachers and a different perspective from being down there with limited resources. The doctors are very focused on the exam and efficient care, so you pick up a lot of neat tricks you can bring into 3rd and 4th year. Tyler: compared to Drew, we got way less in-hospital experience at UVA, but from what I’ve heard, nothing really compares to Trinity on that. On textbook knowledge, I was there at the start of rotations, but transitioning from the books to practicing was a big shock. I actually recommended improving that to my school after graduation. You don’t get much clinical time in the US during those first two years. 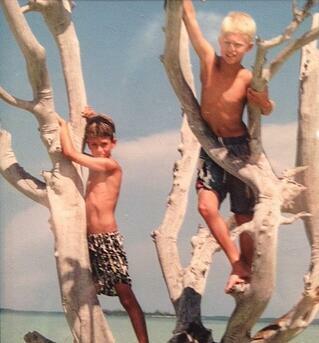 Drew, did you ever get homesick in the Caribbean? Did either of you do much in the way of research? 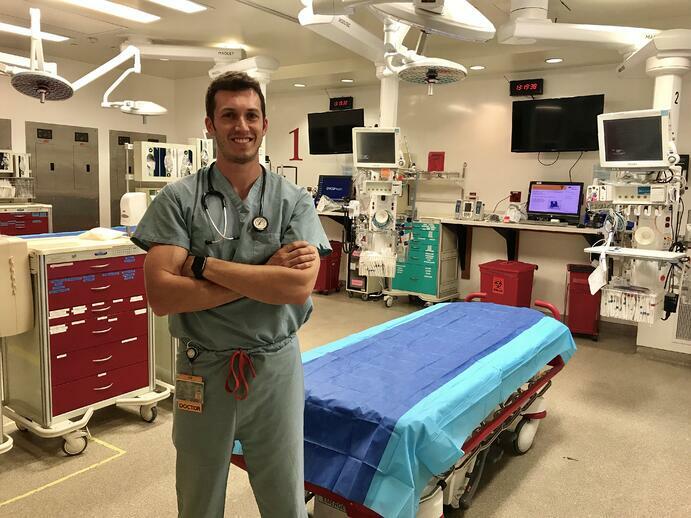 Tyler: During med school, I worked on projects where we tried to standardize curriculum to teach ortho to the ER residents at UVA, what’s important, etc. I haven’t gotten into anything at MUSC yet, though. To be fair, I am not a research oriented person, and at MUSC it isn’t mandatory, like it is at other programs. 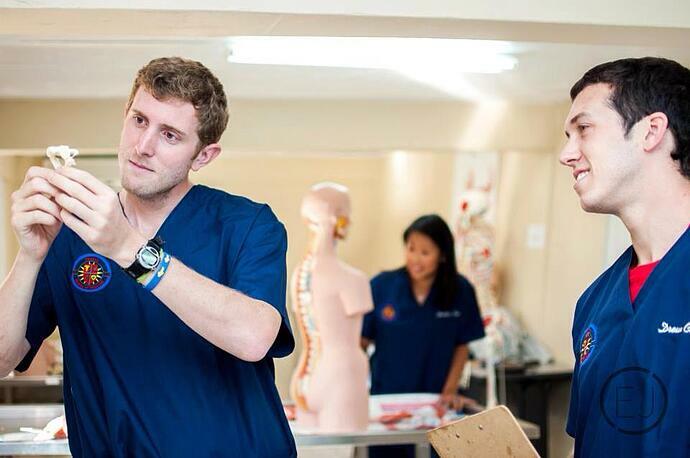 Drew: not especially in college or medical school, but where I am now, I’m quite involved in a number of things. It wasn’t my intention, but the ED is doing such top of the line things, a lot of cutting edge work, so it’s fun to be in the environment like that. I get pulled into great projects with great people. How did interviewing go? Did you do a lot of interviews? Drew: It was the most stressful time of my entire life. Coming from a Caribbean medical school, I felt it would be a little harder, so I reached out to more places. It all comes down to one day, the days and weeks before that, it’s incredibly stressful. I only tried for ED programs, and if I didn’t match I would have done it again the next year. Tyler: It was extremely stressful, to impress programs. It’s nerve wracking, and putting together the rank list, where you think each situation, if not here, what’s next? It went well, but I burned out and canceled the last few because I was so tired. I couldn’t bring myself to travel. It’s very novel early on, but then after a few, the same spiel, same tour, same questions, it’s exhausting. All in, I got offers at fifteen, scheduled 12, did 9. Drew: I got ten and went on all of them. They were good, ED as a whole is a lot of like-minded people, not stressful. They see your app, they know who you are on paper. Where I’m at now, when we interview applicants, it’s a dinner the night before and meet the residents, separate of faculty or attendings, which is very important. You get to see if you fit in. At the end of the day, if you go somewhere that’s the most prestigious, that’s great, but will you fit in? 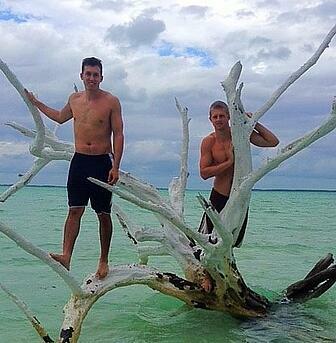 Tyler and I were both fortunate enough to find where we wanted to go. I ended up at my top ranked program! The people are amazing, what we do is so much fun, I couldn’t be happier. Trinity and matching in #1 choice? What a perfect end. Were there any challenges for you, Drew, as an IMG? When you shoot out those residency applications, there are places that axe you right away based on where you went to school. I was in clinicals at hospitals with students from other Caribbean medical schools; there are unfortunately some terrible schools out there producing terrible students. I still get to this day why the stigma is there, but people have to step outside of that, look at Trinity and see a different school, a school that, year after year, is producing. It’s not like there was one good year, people need to take notice of that and see something different is happening. Tyler: Can I tell a story? So, Drew is a year ahead, and led our tour on my interview day [Ed note: Tyler applied at Drew’s program, his tour guide was a coincidence]. He gave the tour, he had a sheet of what he was supposed to talk about and tell everyone. He let me see it at one point, so I knew the scoop. We're by the ambulance bay, it wraps around the capitol of the Confederacy. His paper says, “Do not talk about the Confederacy.” So, the program director comes by and asks how the tour is going, I say “Good, but Drew wouldn’t shut up about the confederacy, we got a 30 minute spiel on it, what’s that about?” to get him in trouble. Tell us about your current role as an ER resident. Tyler: I’m in my intern year right now. Our program is 6 months in the ED, 6 months off-service. Right now I am off-service working in ICU, next month, I’m back into the ED. 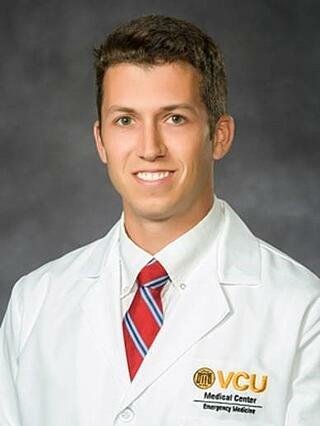 Drew: I start in June as chief resident. Looking back, is there anything you wish you’d known? Tyler: People underestimate the time commitment of medicine. I remember prior to going in, multiple people, including our dad, saying, “Are you sure? Don’t do it.” They want to try to talk you out of it, then you get in and realize why. It’s the time. It’s such a huge time commitment. I wouldn’t do anything differently, but didn’t know what I was getting into. I think people need to understand that. Drew: I would have gone to Trinity a year earlier, because staying up here and doing a year of grad school was a huge waste of time and money, I could have been doing what I wanted to do all along. That is the one thing that I would have changed. Trinity is a wonderful school in a wonderful place, the people are so fantastic. It was a great place to study medicine. Drew, you worked with the World Pediatric Project when you were at Trinity, right? Yes! This is a huge, huge, huge advantage to Trinity students. They should take every possible opportunity to work with the World Pediatric Project. Incredible people come down, the doctors, the nurses, they’re all very open to having students around. You’re early on in medical school with people doing top of the line work in a limited environment. It’s amazing to be a part of that. I don’t know how I’d go back as an ER doc, they usually send surgeons, but it’s definitely on my radar. 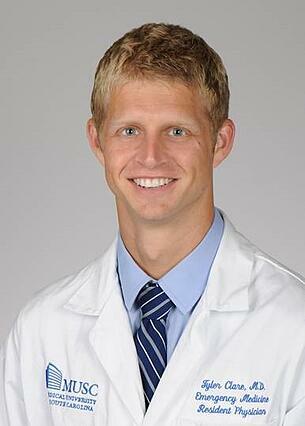 Tyler: Ultrasound or critical care fellowship. Drew: Same. Ultrasound or critical care fellowship. VCU is starting an advanced, combined resuscitation and ultrasound fellowship, so that’s definitely on the horizon for me. Thank you both, so much, for taking the time to talk to us today!